Ioannis Phokas, or as he was better known, ”Juan de Fuca” was an intrepid, and much underappereciated, Greek explorer and navigator who lived during the sixteenth century, greekreporter.com notes in the following article. Born in 1536 on the Greek Ionian island of Kefalonia, Phokas was a maritime pilot who served King Philip II of Spain in his many Spanish expeditions. Phokas is best known for being the first explorer of the Strait of Anian, which is now named as the Juan de Fuca Strait off Vancouver, British Columbia, Canada. The Strait of Juan de Fuca is situated between scenic Vancouver Island and the stunning, mountainous Olympic Peninsula, located in the northwestern part of the U.S. state of Washington. Phokás’ grandfather, Emmanouel Phokás, fled Constantinople in 1453, the year the Ottomans conquered the capital of Byzantium. Emmanouel Phokás settled initially in the Peloponnesian peninsula, but in 1470 he moved to the island of Kefalonia. A few decades later, the great navigator Ioannis was born to Emmanouel’s son Valerianos. Ioannis Phokás’ first voyages were to the Far East. He claimed to have arrived in New Spain in 1587 when the English captain Thomas Cavendish confiscated his galleon and deposited him ashore at Cabo San Lucas in Baja California. Before he made his trip up the northwest coast of the North American continent, Phokás sailed to China and the Philippines as well as back to Mexico in central America. 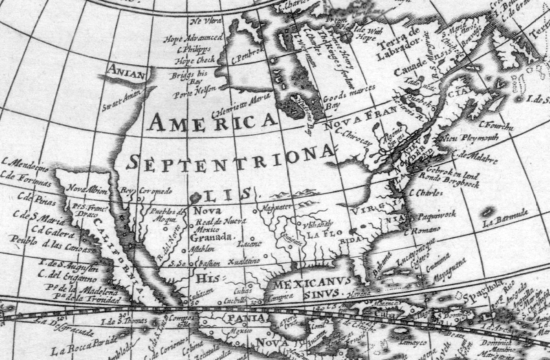 There has been controversy regarding the veracity of Juan de Fuca’s exploratory missions, since researchers have been unable to find extensive records of his expeditions in the Spanish archives. Some not only doubted his discoveries along America’s West coast and Asia, but whether or not he had even existed. It is believed that some scholars, including Captain Cook, the eighteenth-century British explorer, considered Juan de Fuca a completely fictional character. However, in 1787, when the English explorer Capt. Charles William Barkley “re-discovered” the passage Phokás had described, he decided to rename the waterway from The Strait of Anián to the Strait of Juan de Fuca. On August 5, 2017, in Argostoli, the capital of Kefalonia, a statue of Juan de Fuca was erected in his memory, and the city’s port was renamed in honor of the Greek explorer. Perhaps history has just started to give the fearless Greek explorer his just desserts, and time will uncover more historical records on this great man.